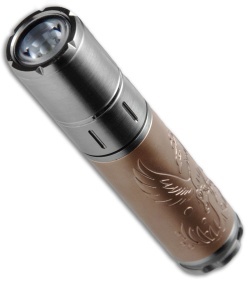 This limited edition F15 flashlight was designed to celebrate Fenix's 15th anniversary in the flashlight industry. Fenix has established themselves as one of the top makers of high performance LED lighting products and this special release commemorates that accomplishment with a powerful and compact EDC flashlight. It is made from stainless steel with unique rose gold plating that is etched with the Fenix company logo. The Fenix F15 was designed to make an ideal daily companion or a souvenir collection piece. Uses a Cree XP-E2 R3 white light LED with a lifespan of 50,000 hours. 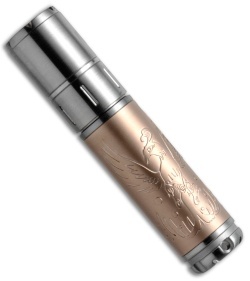 Constructed from stainless steel with vacuum plated rose gold processing. Convenient mode access with a reliable rotary switch.